The Andhra Pradesh Southern Power Distribution Company (APSPDCL), under Govt. 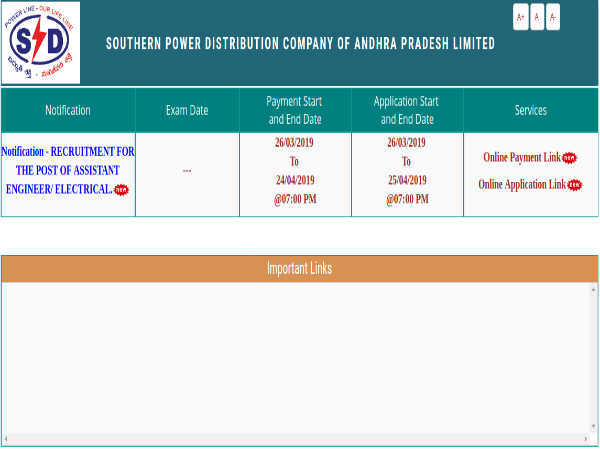 of Andhra Pradesh, has invited online applications from eligible engineering graduates for filling 20 vacancies to the post of Assistant Executive Engineers (Electrical) on regular basis through direct recruitment under APSPDCL Engineering Service. The applications process towards the same starts from March 26, 2019 and closes on April 25, 2019 by 7:00 pm with April 24, 2019 as the last date for payment of application fee. 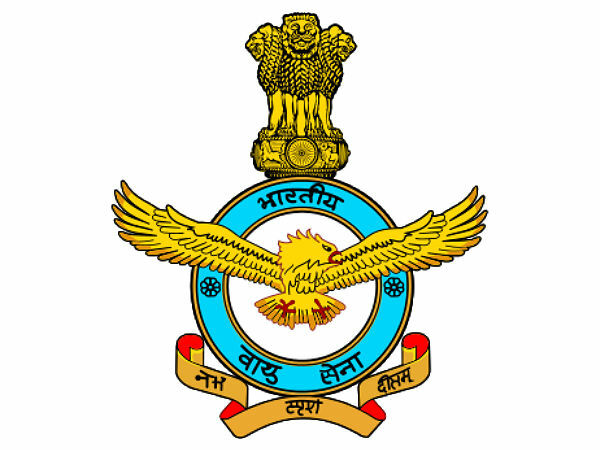 Candidates interested in applying for the post of Assistant Executive Engineer through APSPDCL Recruitment 2019 must have attained 18 years of age as on February 09, 2019 and must not have exceeded 42 years, with a relaxation in the upper age limit by 5 years for SC/ST/BC candidates and 10 years for PWD candidates. 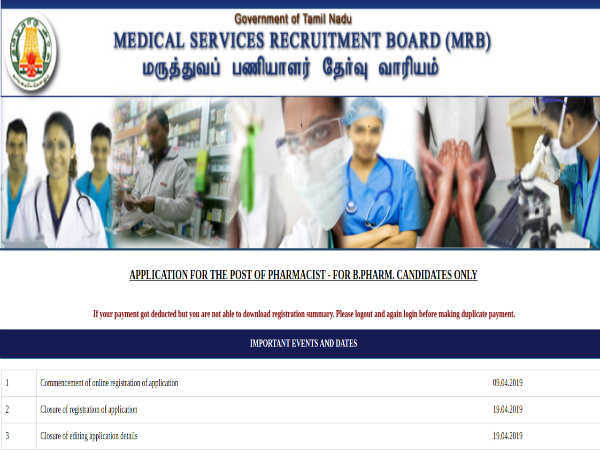 Candidates must pay a requisite amount of Rs. 200/- (Gen) as application processing and Rs. 500 (Gen) as examination fee. SC/ST/BC/PWD candidates are exempted from paying examination fee, but are required to pay application processing fee of Rs. 200/- through online (Internet Banking/Debit/Credit payment gateways)mode. 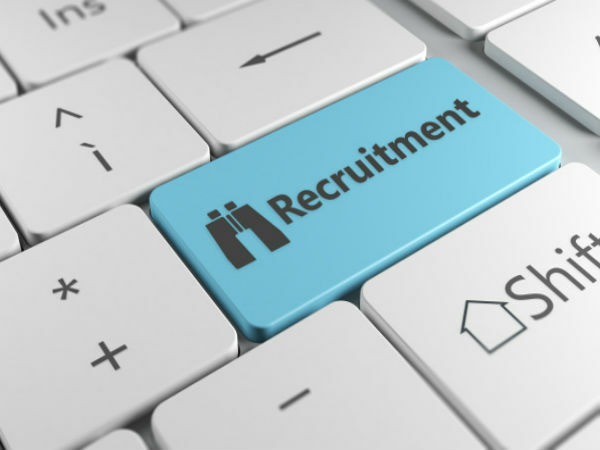 Desirous candidates applying for the post of Assistant Executive Engineer through APSPDCL Recruitment 2019 must possess a B.E/B.Tech/A.M.I.E. Degree/Certificate in Electrical and Electronics Engineering from a recognized University/Institute duly recognized by UGC/AICTE. The selection of candidates as Assistant Executive Engineers through APSPDCL Recruitment 2019 will be done based on a Written Examination and Document Verification. Candidates applying for the post of Assistant Executive Engineer through APSPDCL Recruitment 2019 must submit their applications through online mode only on the official APSPDCL website at http://apspdcl.cgg.gov.in/home1902psvkr.rps on or before April 25, 2019 by 7:00 pm. Candidates must first pay the requisite application fee prior to the submission of application.